International climate scientists are more certain than ever that humans are responsible for global warming, rising sea levels and extreme weather events, according to a leaked draft report by an influential panel of experts. The early draft, which is still subject to change before a final version is released in late 2013, showed that a rise in global average temperatures since pre-industrial times was set to exceed 2 degrees Celsius by 2100, and may reach 4.8 Celsius. “It is extremely likely that human activities have caused more than half of the observed increase in global average surface temperatures since the 1950s,” the Intergovernmental Panel on Climate Change (IPCC) draft report said. “Extremely likely” in the IPCC’s language means a level of certainty of at least 95 percent. The next level is “virtually certain”, or 99 percent, the greatest possible certainty for the scientists. The IPCC’s previous report, in 2007, said it was at least 90 percent certain that human activities, led by burning fossil fuels, were the cause of rising temperatures. The United Nations climate talks in Doha, Qatar, went a full extra 24 hours and ended without increased cuts in fossil fuel emissions and without financial commitments between 2013 and 2015. The Doha Gateway creates a second phase of the Kyoto Protocol to cut fossil fuel emissions by industrialised nations from 2013 to 2020 but does not set new targets. There is also no financial support to help poor countries adapt to impacts of climate change – only agreement for more meetings in 2013. Talks will also begin next year to create a “mechanism” to assess damages and costs for countries suffering losses from climate change. Finally, the Doha Climate Gateway has an agreed outline for two years of negotiations on a new global climate treaty that would go into legal force in 2020. The general impression gained from environmental groups seems to be one of disappointment that another opportunity to take substantive steps to address and combat the impact of climate change has been squandered. Satellite observations have revealed the first direct evidence of smoke from Arctic wildfires drifting over the Greenland ice sheet, tarnishing the ice with soot and making it more likely to melt under the sun. Researchers previously recorded a 6 percent drop in reflectivity in Greenland over the last decade, which will cause enough warming to bring the entire surface of the ice sheet to melting each summer, as it did in 2012. Soot is an extremely powerful light absorber. It settles over the ice and captures the sun’s heat, which leads to stronger and more prolonged melting. That’s why increasing tundra wildfires have the potential to accelerate the melting in Greenland. The week’s hottest temperature was 110.5 degrees Fahrenheit (43.6 degrees Celsius) at Nyang, Western Australia. The week’s coldest temperature was minus 58.4 degrees Fahrenheit (minus 50.2 degrees Celsius) at Russia’s Siberian community of Dzhalinda, which borders China. Global warming opens new shipping lane through Arctic. 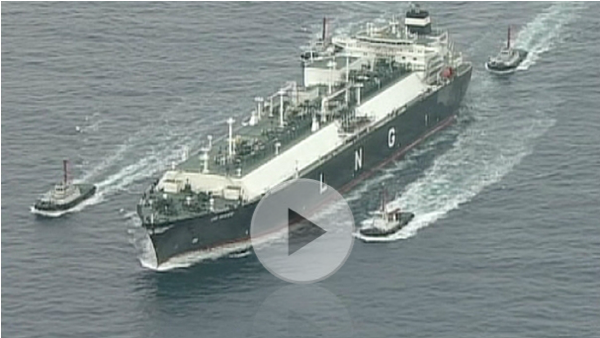 A tanker carrying Liquefied Natural Gas (LNG) has crossed the Arctic Ocean route for the first time. It shows how global warming has opened up new routes for commercial shipping. It represents a new lane between Europe and Asia a third shorter than through the Suez Canal. The tanker left Norway in November, sailed over the Arctic Ocean and the Bering straight and arrived in Southwestern Japan. International interest seems to be rapidly cooling on global warming. Past meetings in places such as Copenhagen and Cancun have received worldwide attention as participants have gathered to hammer out new emissions restrictions in hopes of limiting global warming. But the Doha gathering has garnered much less notice. 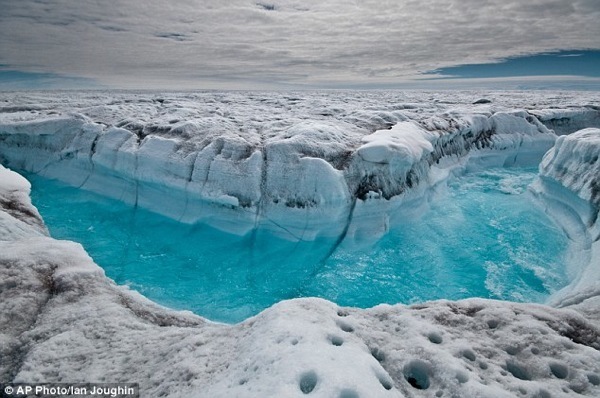 Greenland and Antarctica have lost four trillion tonnes of ice in 20 years. A new, definitive study of satellite data has found that polar ice sheets are now melting three times faster than they did in the 1990s. The amount of ice lost from Greenland and Antarctica is enough to raise world sea levels by almost one millimetre a year. Since 1992, it has added more than 1cm to global sea levels – contributing around a fifth of the total rise. About two thirds of the ice loss was from Greenland and the remainder from Antarctica, said scientists. The new survey is said to be the most accurate assessment to date, ending 20 years of uncertainty. It confirms that, with the exception of East Antarctica, both land masses are losing ice. But big differences in the pace of change were seen at each pole. The new research concludes that Antarctica is melting, but points to the smaller ice sheet in Greenland, which covers most of the island, as the bigger and more pressing issue. Its melt rate has grown from about 55 billion tons a year in the 1990s to almost 290 billion tons a year recently, according to the study. The vast polar ice sheets lock up unimaginable amounts of water. The Antarctic ice sheet contains 30 million cubic kilometres of ice and holds around 90% of all the fresh water on the surface of the Earth. If the whole Antarctic ice sheet melted, sea levels would rise by more than 60 metres. The Greenland ice sheet is much smaller, but would add seven metres to sea levels if it all melted away. 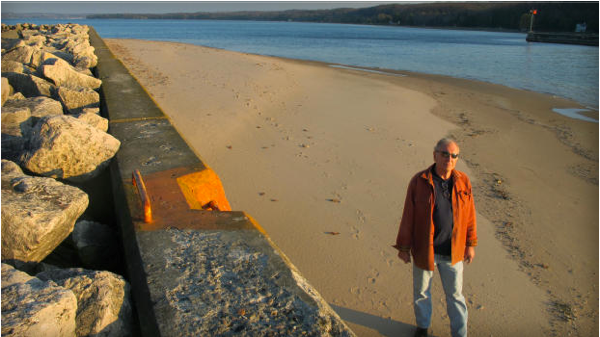 The Great Lakes, the world’s biggest freshwater system, are shrinking because of drought and rising temperatures, a trend that accelerated with this year’s almost snowless winter and scorching summer. Water levels have fallen to near-record lows on Lakes Michigan and Huron, while Erie, Ontario and Superior are below their historical averages. The decline is causing heavy economic losses, with cargo freighters forced to lighten their loads, marinas too shallow for pleasure boats and weeds sprouting on exposed bottomlands, chasing away swimmers and sunbathers. Victoria in Australia has sweltered on its hottest november day in more than a century, with the heatwave triggering numerous small grass fires in the state. Mildura recorded a high of 45.4ºC at 3.18pm (AEDT) on Thursday, taking it over the record of 45ºC set in the city in November 1905. Sea levels are rising 60 percent faster than U.N. projections, threatening low-lying areas from Miami to the Maldives, a study submitted during the U.N. talks in Qatar on combating climate change said on Wednesday. The study said sea levels had been rising by 3.2 mm (0.1 inch) a year according to satellite data, which was 60 percent faster than the 2mm annual rise projected by the U.N.’s Intergovernmental Panel on Climate Change (IPCC) over that period. In the last century, seas rose by about 17 cm. The latest best estimate for sea level rise was between 50 cm and a metre this century, possibly more if greenhouse gas emissions surged. Higher temperatures would melt more ice on land and expand the water in the oceans. That would leave low-lying regions – from Pacific island states and Bangladesh to Tokyo and New York – facing a greater risk of storm surges, erosion and, in a worst case scenario, complete swamping by flood waters. Decline in Amazon forest destruction. Data released on Tuesday suggests destruction of Amazon rain forests has slowed to the lowest rate since monitoring began in 1988. 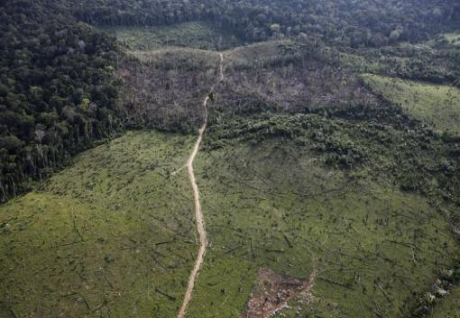 The figures, based on Brazilian government data gathered by satellite imagery, mark the fourth straight year the overall deforestation levels have slowed. But scientists warn, they must still confirm by follow-up research whether the reality on the ground matches what seems to be the case from the sky, especially as loggers and farmers clear smaller but more numerous patches of woodland in efforts to evade detection. Three of the nine Amazonian states measured in the recent data actually showed increases in deforestation. Meanwhile, scientists and environmentalists warn that changes to Brazil’s environmental policies in recent years could soon begin reversing the progress. Global Warming Shifts Heavy Rainfall Times in the UK. The United Kingdom is one of those places that have been studying their weather and rainfall patterns for ages, with huge numbers of rain gauges scattered all across the country. Using this wealth of information, researchers have found that as the global climate warms the time of year when the UK will receive it’s heaviest rainfall is set to shift. The research found in two different models that between 2021 and 2060 and 2061 and 2100 the south-east of the country is likely to experiences its extreme rainfall in autumn rather than in late summer, while the north-east of the country will see its heaviest rainfalls a month earlier than currently. Problematically, these changes shift the heavy rainfalls over into times when the water catchments are already at their maximum capacity, increasing the risk of flooding in the regions. The change in rainfall patterns would also affect the viability of many food and forage crops grown in the UK. Forests Worldwide Near Tipping-Point From Drought. A new study, conducted by an international team of scientists, assessed the specific physiological effects of drought on 226 tree species at 81 sites in different biomes around the world. It found that 70 percent of the species sampled are particularly vulnerable to reduction in water availability. With drought conditions increasing around the globe due to climate change and deforestation, the research suggests large swathes of the world’s forests — and the services they afford — may be approaching a tipping point. 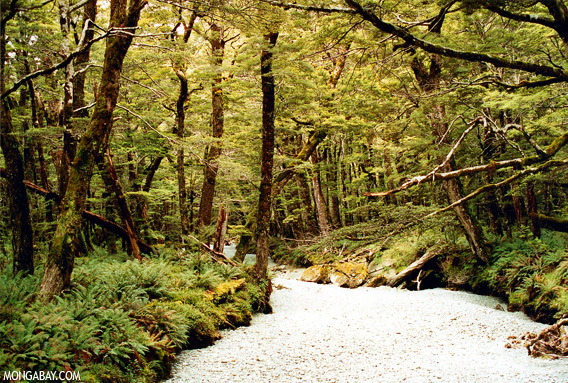 Water is critical to trees, transporting nutrients, providing stabilizing, and serving as a medium for the metabolic processes that generate the energy needed for a tree to survive. Insufficient water availably leads a tree to start pulling air bubbles — called gas emboli — into its xylem impeding the flow of water. Hydraulic failure is akin to attempting to drink through a broken straw — air bubbles significantly reduce the amount of liquid that reaches the top of the straw. The researchers found that a wide range of trees are susceptible to “hydraulic failure”. The study provides insight on why drought-induced forest die-off is occurring in a range of forest types, including tropical rainforests which are not typically considered at risk of drought. Over the past 15 years, forests in Borneo and the Amazon have suffered from widespread drought-induced decline. Drought stress if often accompanied by increased incidence of fires, either from natural sources like lightning or human activities like burning for cattle pasture of plantation establishment. The suggestion that all forests are on the brink of succumbing to drought, and may already be responding to climate change, is supported by observations of increased drought-induced forest die-offs and tree mortality in many ecosystems. The research also has implications for efforts to combat climate change by relying on forests to sequester more carbon from the atmosphere. Dying forests release, rather than absorb, carbon. Sea snails show impact of more acidic ocean. Oceans soak up about a quarter of the carbon dioxide released into the atmosphere each year and as CO2 levels in the atmosphere increase from burning fossil fuels, so do ocean levels, making seas more acidic. Ocean acidification is one of the effects of climate change and threatens coral reefs, marine ecosystems and wildlife. It has been found thattThe shell of the pteropod sea snail in the Southern Ocean was severely dissolved by more acidic surface water. And although the snails did not necessarily die, it increased their vulnerability to predators and infection which could affect other parts of the food chain. The sea snails are an important source of food for fish and birds as well as an indicator of marine ecosystem health. The week’s hottest temperature was 114.8 degrees Fahrenheit (46.0 degrees Celsius) at Dampier, Western Australia. The week’s coldest temperature was minus 53.9 degrees Fahrenheit (minus 47.7 degrees Celsius) at Russia’s Vostok Antarctic research station. 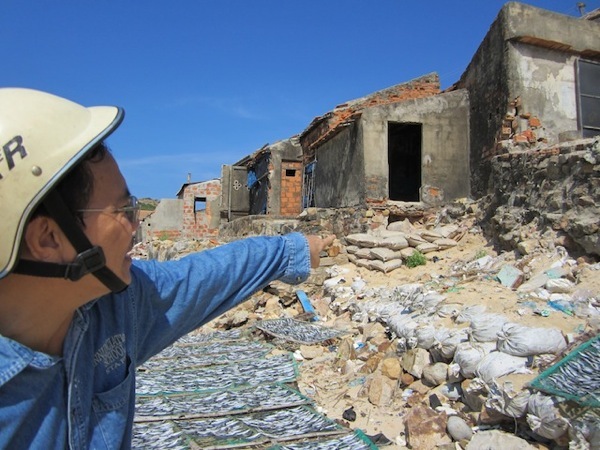 Vietnam is suffering increased levels of coastal soil erosion due to the increased frequency of typhoons and tropical cyclones hitting the country, as well as rising sea levels. Vietnam has been identified as one of the top five countries likely to be most affected by rising sea levels. Numerous coastal mangrove forests have been wiped out, while coastal residents are being forced to move further inland every few years to escape the waves, using rocks and sandbags to protect their homes. Law enforcement and wildlife officials along the northern Gulf of Mexico are trying to track down who has been shooting, stabbing and mutilating dolphins there. 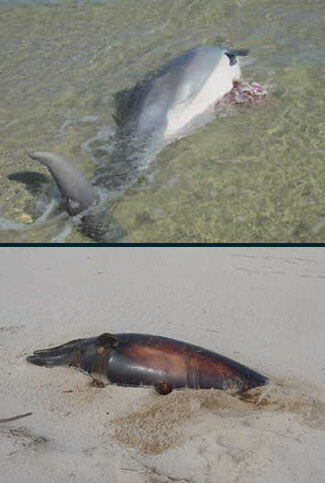 At least four dolphins have been found savaged to death this month in Louisiana, Mississippi and Alabama, USA. A U.N. conference in Qatar next week is the latest attempt to combat global warming after mounting evidence that human activity is disrupting the climate. 300 BC – Theophrastus, a student of the Greek philosopher Aristotle, documents that human activity can affect climate. He observes that drainage of marshes cools an area around Thessaly and that clearing of forests near Philippi warms the climate. 1896 – Sweden’s Svante Arrhenius becomes the first to quantify carbon dioxide’s role in keeping the planet warm. He later concluded that the burning of coal could cause a “noticeable increase” in carbon levels over centuries. 1957-58 – U.S. scientist Charles Keeling sets up stations to measure carbon dioxide concentrations in the atmosphere at the South Pole and at Mauna Loa, Hawaii. The measurements have shown a steady rise. 1988 – The United Nations sets up the Intergovernmental Panel on Climate Change (IPCC) to assess the scientific evidence. 1992 – World leaders agree the U.N. Framework Convention on Climate Change, which sets a non-binding goal of stabilising greenhouse gas emissions by 2000 at 1990 levels – a target not met overall. 1997 – The Kyoto Protocol is agreed in Japan; developed nations agree to cut their greenhouse gas emissions on average by at least 5 percent below 1990 levels by 2008-12. The United States stays out of the deal. 2007 – The IPCC says it is at least 90 percent certain that humans are to blame for most of the warming trend of the past 50 years. It also says signs that the planet is warming are “unequivocal”. 2009 – A conference of 193 countries agrees to “take note” of a new Copenhagen Accord to fight climate change, after U.N. talks in Denmark. The accord is not legally binding and does not commit countries to agree a binding successor to the Kyoto Protocol when its first stage ends in 2012. 2011 – U.N. climate talks in Durban, South Africa, agree to negotiate a new accord by 2015 that is “applicable to all” and will come into force from 2020. Sea levels have risen almost six centimeters since 1995. Sea levels have continued to increase by 3.2 millimeters per year, according to a NASA chart analyzing data from 1992 to 2012. There was some debate after recordings showed a quarter inch drop in seal levels between the summer of 2010 to the summer of 2011. The reason for the drop was due to a big El Nino followed by a massive La Nina. These climate events were so powerful they changed storm patterns around the world and brought massive rains and floods to places like Australia, South America, and Southeast Asia. So much water was transferred onto the continents that the level of the oceans fell by about five millimeters, circled on the chart below. 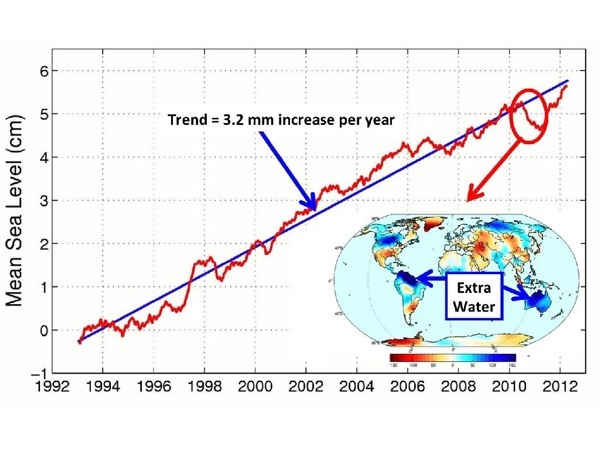 Climate change skeptics used this drop to deny the oceans are rising, but the latest data shows we are still on track for rising waters. The NASA and European Topex/Poseidon, Jason-1 and Jason-2 satellites have been circling the Earth, tracking the rise of the oceans. The oceans are rising due to global warming melting glaciers and ice sheets in Greenland and Antarctica.